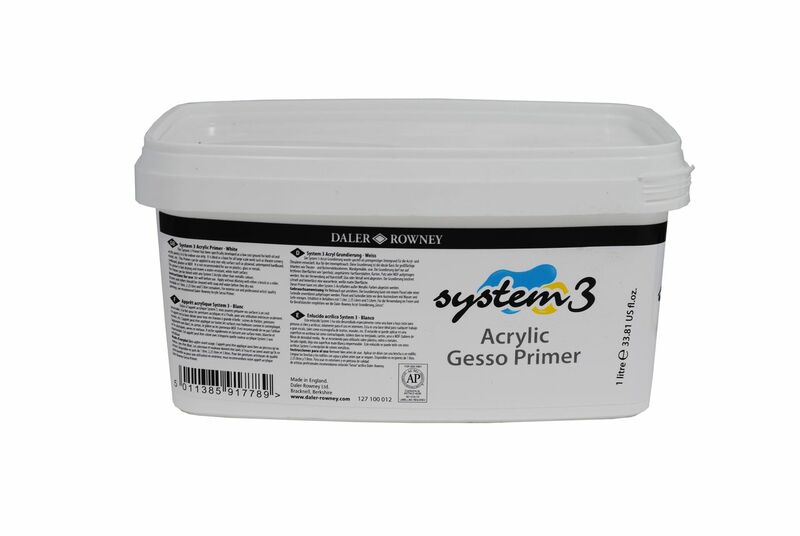 System 3 Primer has been been specifically developed as a low cost ground for both oil and acrylic paints. System 3 Primer has been been specifically developed as a low cost ground for both oil and acrylic paints; it is for indoor use only. It is ideal for all large scale work such as theatre scenery, murals, etc. This Gesso primer can be applied to any non-oily surface such as plywood, untempered hardboard, cardboard, plaster or MDF. It is not recommended for use on plastics, glass or metals. Fast drying and leaves a water-resistant, white, matt surface. Can be tinted with System 3 Acrylic colour (except for Metallic colours).